Incepted in the year 2017, we Kapture Headwear are manufacturing, exporting, and supplying a world-class range of Caps and Hats. Through our vital stakes in precise fashion analysis, we are proficient in bringing out a wide range of Hip Hop Caps, Baggy Caps, Panama Hats, Personnel Caps and more. The important reason behind our vital presence in the industry lies in the advantage of our offered caps and hats, which are high in need of its fine quality fabric, colorfastness, elegance, and resistance to shrinkage. To meet the needs of our huge client base, we are offering these products in various sizes, colors, and designs. Our infrastructure is one of the main assets of our top-level success. Also, this comprises of various units like manufacturing, warehouse & packaging, quality control, marketing and administrative.With a purpose to mature into the biggest listed company of textile products, we are developing the norms and assisting the demands of a broad clientele. Apart from this, our operational distinction and combined business strategies provided us with an opportunity to grow. 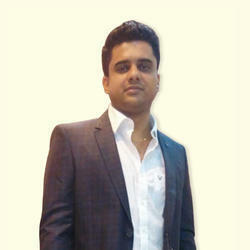 Our director Mr. Sagar Pania facilitates communication through granting our team with his different industrial expertise. We understand his accomplished guidance to create a bond to establish our brand competence. Young entrepreneur, Mr. Sagar Pania, based at Mumbai, who has more than ten years in corporate world, and has handled various businesses, at multiple positions, right from marketing, to sales, to handling business as proprietor. He is a commerce graduate from Mumbai University and participated in various functions during his academic tenure at schools and colleges. He is also international cricket player, and has played various other sports, at club level. He has a vision to bring uniqueness in the headwear industry. With his strong desire, and mission to create CAP CULTURE across the Globe, he went on to introduce, Kapture Headwear to the world. Headwear Industry is highly growing industry across the world. Be it Corporate events, or Sports, or any Industry get together, even Global events, Cap is certainly an apparel which forms an important part of overall wear both for Men and Women. With this unique identification of huge potential to grow CAP as an important element in our everyday life, Kapture Headwear, is now right in the global market, to design, develop, manufacture, and supply, Caps which suits particular needs, and as the customer says, Meeting their Unique Wants, Desires, and Needs. Located at Mumbai, Kapture Headwear started its founding operations in May 2017. With strong hold on the Quality, which Kapture highly relies on, and has built it its strength. It continues to wow the customers through unique processes and highly capable manufacturing capabilities, to meet the demands, no matter what their limits are. Kapture headwear has world class manufacturing facility with latest equipments, to help make best product in the whole world. Kapture Headwear is certainly an Institution, where Innovation and Uniqueness as well as Talent are mix blend under one umbrella. We stand strongly with our highly capable manufacturing capabilities, and even customize the product according to the customer’s demands. Kapture Headwear is certainly to create and build uniqueness in the market, and that too Globally. It strongly believes in creating its unique place, through creating and diversifying “Cap Culture” in the Global Markets. Being Mumbai as Nucleus, The Kapture Headwear, has capabilities to serve markets anywhere Globally. Though new in the business, but with strong team of men and women, who are expert in bringing innovation in life, Kapture Headwear, is highly capable to deal with the Headwear Business Ups and Downs. Customers are delighted, which is the main purpose of the company itself. Developing and creating products whose needs are already their in the market but have been less taped, the company desires to build service and products which serve this very needs and wants and desires. Be it Sports, or Fashion, creating a culture which remains longer through manufacturing and designing caps is what is the main goal and purpose of Kapture Headwear, We strongly believe in making difference through, “Cap Culture”. Globally around thousands of events takes place, in today''s globalized world, people meet people, and give ever lasting impression of their respective culture. We have an aim to globalize the cap culture, and make Kapture – Creator of Cap Culture as unique voice in the markets globally. Making difference through playing with fabric, is our core strength. Timely delivery and high quality remain the password of our company. We always strive harder to satisfy our customer's requirements. Our products are available in different grades as per the client's specific requirement. Apart from this, our products come in premium packaging and customers can avail them at the reasonable price in the market. Our company is supported by efficient team members which are consistently engaged in exceeding our patron’s expectations. Our team member works to achieve a common goal. Our products are recognized among other products due to our high product quality. We have the qualified professionals to design the caps and hats. To design our caps and hats range attractive and sound priced, we have a well-equipped infrastructure unit. Our infrastructure is divided into many units for the design, manufacturing, packaging, stocking, and distribution. Apart from this, to hold the productive aspects of value, period, and technology, our infrastructure is fully equipped with hi-end machinery and devices. Owing to our ethical business standards, we have been able to achieve the trust of our various clients. Our offered caps and hats are checked by us on various parameters to ensure their high quality. Further, we make sure that the consignments are timely delivered to the patron preferred location. Our manufacturing brand is Kapture.